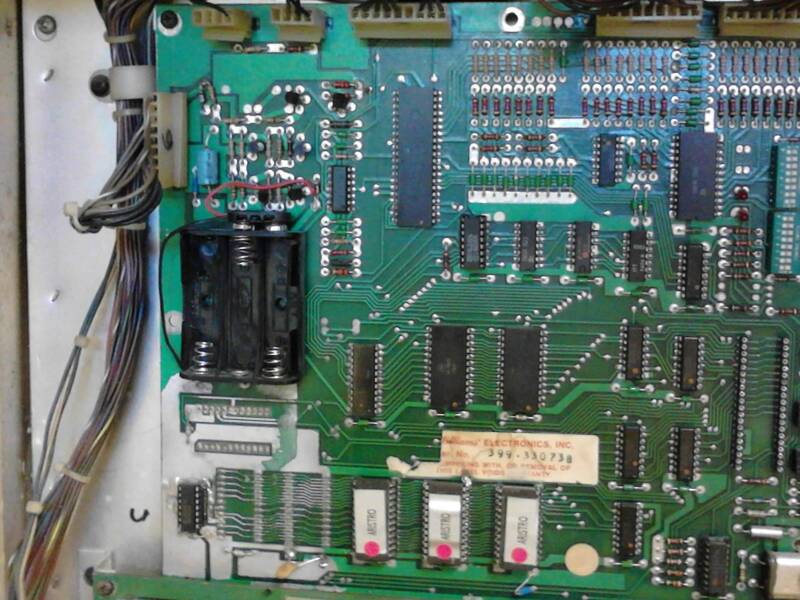 I think I have an upgraded system 3 cpu board, however I don't see the cut and jumper that should be there. Can anyone help? That is a system 4 MPU (there is a horizontal IC socket under the batteries). I see so the board began life as a system 4 and was not upgraded? 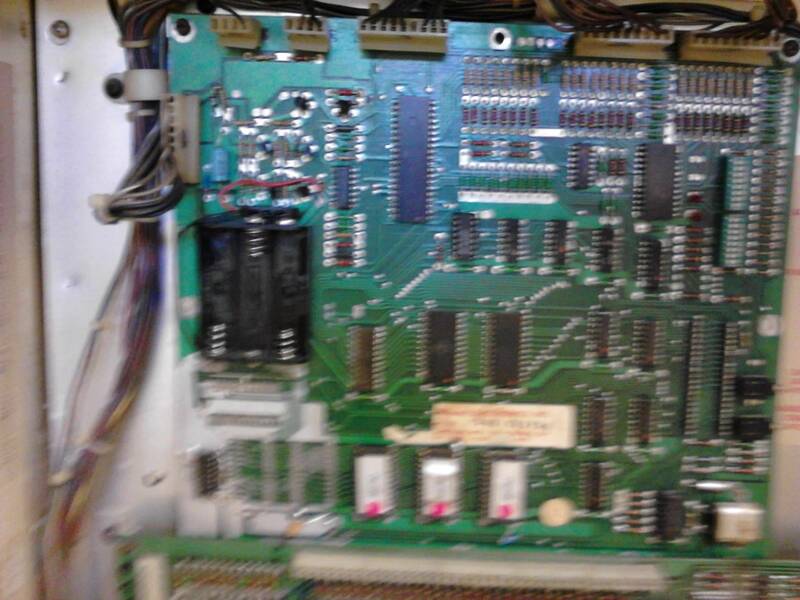 I just suspected it was because its in a Aristocrat shuffle alley, but the driver board says it was in a firepower. Also, I need to replace the CPU, because I replaced the socket and installed the chip in backwards. What CPU chip does it take? System 3 calls for a 6800 but since its a system 4 would it call for a different one? system 4 uses a 6800 cpu chip. 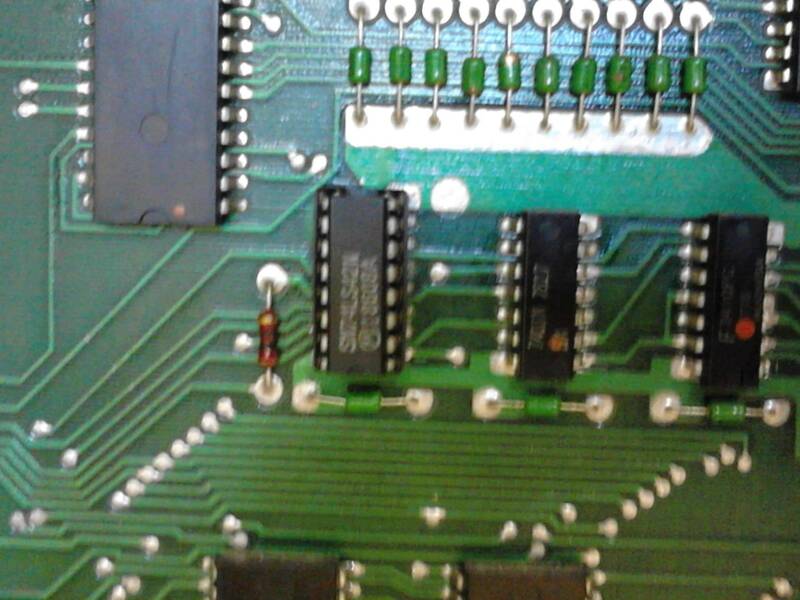 The WMS mods specified to be done to a s4 chip is in the reset section and around around the clock crystal. I see the reset mod has been done, i can't tell about the clock mod. The clock mod adds a cap around the clock circuit. where C27 is removed and other changes are made. This essentially turns the late 3A board into a Sys4 board. 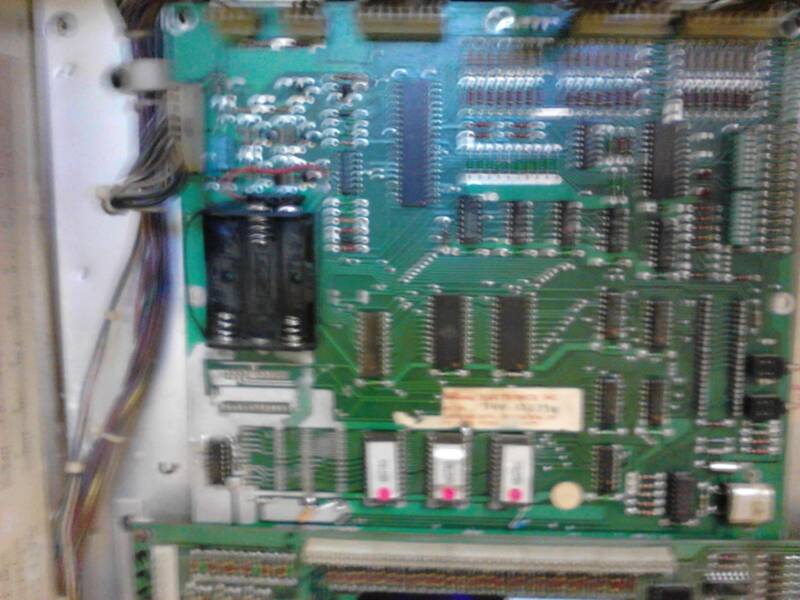 Early Sys3 boards are missing the socket at IC26 entirely as Andrew indicated. 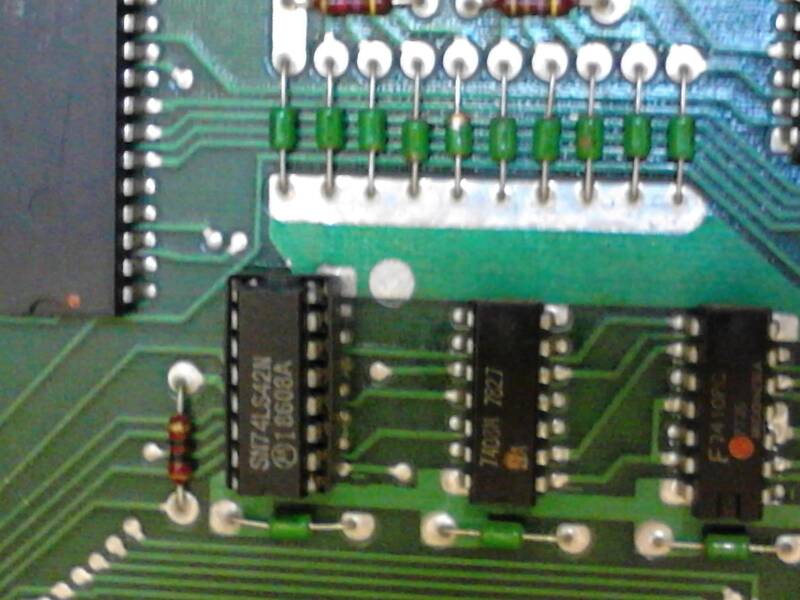 Your board does not have C27 indicating the reset circuit has been upgraded. The base board p/n for Sys3A and Sys4 is the same - 1B-2001-133.